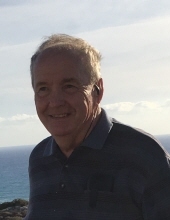 John Jared Burton, 74, died on January 19, 2019 in Arvada, Colorado. He is the cherished husband of Christie Burton and the beloved brother of Jan Burton. John is the adored father of Holly Mancillas, Jennifer Lovejoy and father-in-law to Daniel Mancillas. He is the proud grandfather to Adrian and Alexander Mancillas. John loved his dogs, Sam, Maggie, Chester and Scooby. John, the son of the late Jean and Wilson Burton, grew up in Denver and Westminster Colorado. He graduated from New Mexico Military Institute, the University of Colorado and received a Master Degree in Library Science from the University of Denver. John worked for the City of Denver for 45 years until retirement. John enjoyed reading, traveling, the outdoors, music (especially opera), and spending time with dear friends and family members. He will be greatly missed and remembered fondly forever. To send flowers or a remembrance gift to the family of John Jared Burton, please visit our Tribute Store. "Email Address" would like to share the life celebration of John Jared Burton. Click on the "link" to go to share a favorite memory or leave a condolence message for the family.